Read Debra's overview of self-directed learning in HR Magazine's Book Blog. HR behavior competencies are critical for success today. 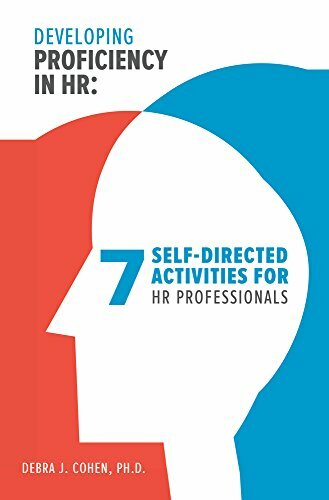 Developing Proficiency in HR: 7 Self-Directed Learning Activities for HR Professionals provides a roadmap for HR professionals to help themselves and their HR colleagues develop the behaviors necessary to be successful. It is a pragmatic and easy-to-follow book that is filled with practical exercises and worksheets that will be useful to HR professionals—and to HR leaders. The book is designed to transform passive learners into active learners by helping HR professionals develop their HR behavioral competencies at their own pace and based on their own needs. Included is guidance on how to approach personal development in day-to-day activities rather than in a formal course setting. Self-directed activities such as role play, observation, and networking with a purpose—all of which are covered in the book—can be powerful drivers of learning and development.